I am asking you all to please put whatever you are doing right this minute down and say a special prayer for Ava Helmick. She is a CDH survivor who is in the hospital right now. Please visit her blog and leave her and her family a note of encouragement. This little girl is amazing and such an inspiration. Just wanted to update a little on Carter. He’s holding his own right now on ECMO and his color looks great. Mom and Dad are doing good too. Please keep this little fella in your prayers as he is going to need them in the days and weeks to come. Ashley and I are going to go up and visit soon (we haven’t been in Duke since p died) because he’s just too cute to resist any longer. I had to add some pictures of him (kellie and brad hope you don’t mind). 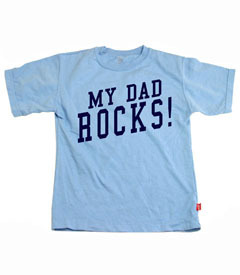 I saw these tshirts from Chasing Fireflies (love this store) and Carter so needs these with his new rock star hairdo! 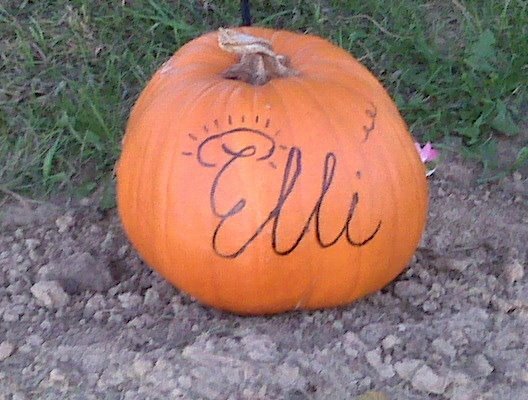 And here’s a pic just because I absolutely love what Cas did with Elli’s pumpkin! I am completely stealing this idea and doing one for Parker. My niece and nephew picked a pumpkin out for her the other day. The chose a white one because they said she’s an angel. Couldn’t help but to tear up. There is quite a bit going on lately and I wanted to take a minute to update. First, John Michael Larson, was born October 4th at 4:12 p.m. in Denver, Colorado. He has a Carepage (johnmichaellarson) and his parents, Nik and Megan update it often. Go check it out and leave a message of support. They are an awesome family! Secondly, Baby Carter, will be here sometime early to mid Tuesday. Kellie will be induced tomorrow at 8 p.m. so please keep them in your prayers. We are very fond of Brad and Kellie and are anxious about Carter’s arrival. I have added some pictures from the dedication. Once downloading them I realized that I didn’t take hardly any pictures. It’s hard to be a hostess and a photographer. So next event we’ll hire a photographer! We are in the process of planning our Launch Party which will be December 6th and our newest event Heels for Hope™ which will be March 28, 2009. It’s a shoe decorating and designing contest to support CDH and bring awareness to the birth defect. It will be a month long event starting the last week of February and going to the 28th of March celebrating Congenital Diphragmatic Hernia Awareness Day and month. There will be prizes for the 1st, 2nd and 3rd place winners. I’ll give more infor as we get closer to the date. We are super excited about this event! There will be a big party on the 18th with some awesome judges! If you want to participate you can! And if you want to come you can do that too! Well, it’s getting late and I need to wrap up a few projects before I head to bed. Please remember to always keep CDH families in your thoughts and prayers. Please pray for us tomorrow as we celebrate and remember all CDH babies. We are looking forward to tomorrow and cannot wait to share the event with so many family and friends. We are very proud of all we have accomplished with the foundation and Parker’s House. Tomorrow is a very special day. This is becoming too frequent and it inspires and drives me even more to make a difference in CDH. I am saddened to post that another baby has lost their life to CDH. Kaden Morrow passed away in his parents arms yesterday morning. Please pray for this family as they head on a different journey of CDH. Our thoughts and prayers are with this family today and every day! Arrangements Are Made For Elli. 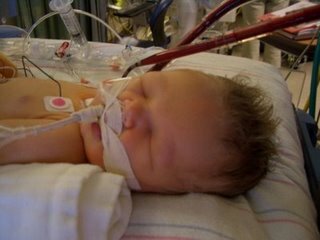 After her 20 day fight against Congenital Diaphragmatic Hernia, Elli earned her angel wings in the early morning hours of Monday September 9, 2008. Her strength and fight amazed all those who followed her difficult journey and she has been an inspiration to her family and friends. 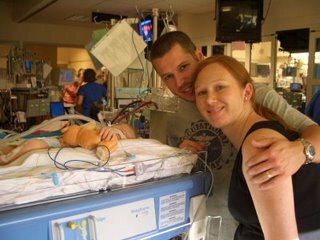 Elli is survived by her parents, Brian Emmett and Cassi Erin Reed. Paternal grandparents, David and Shirley Reed. Maternal grandparents, Aaron and Teri Vorthmann. Paternal great-grandparents, Emmett and Phebe Reed and Dale and Darlene Florea. Maternal great-grandparents Dorsey and Patty Pope. 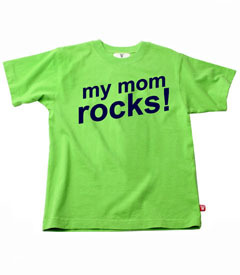 Aunts and uncles include: Charles and Heather Linhart, Nathan Reed, Corey and Annie Vorthmann and Staci Vorthmann. Elli is also survived by many extended family members and countless friends. Elli is proceeded in death by maternal great-grandparents Alfred and Bonny Vorthmann and paternal great-great-aunt and uncle Doyle and Arcile Payton. We are certain that they were all there welcoming Elli into their arms as she joined them in heaven. We will be celebrating the life and journey of Elli with a visitation which will be held at Price Funeral Home in Maryville Mo on Friday September 12, 2008 from 6-8 pm. Elli will be laid to rest at a graveside service to be held in Treynor Ia at St. Paul Lutheran Cemetery on Saturday, September 13, 2008 at 11 am. In lieu of flowers, donations are asked to be made in Memorial of Elli or to The Ronald McDonald House in memory of Elli.